Genuine Original Equipment Manufacturer (OEM) parts! 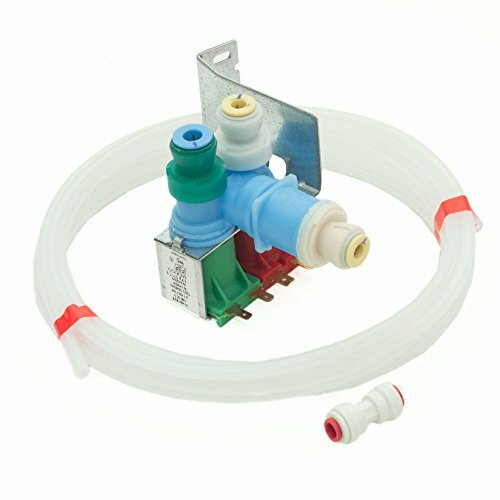 This water inlet valve kit (part number W10408179) is for refrigerators. Water inlet valve kit W10408179 supplies water to the refrigerator ice maker and water dispenser. The kit may include multiple parts; refer to your parts diagram for a complete list of parts included. Safely store any food that could deteriorate while the power is off and unplug the refrigerator before installing this part. Wear work gloves to protect your hands. For Kenmore, Whirlpool, Kitchenaid, Kenmore Elite, Crosley, Estate, & Kirkland.